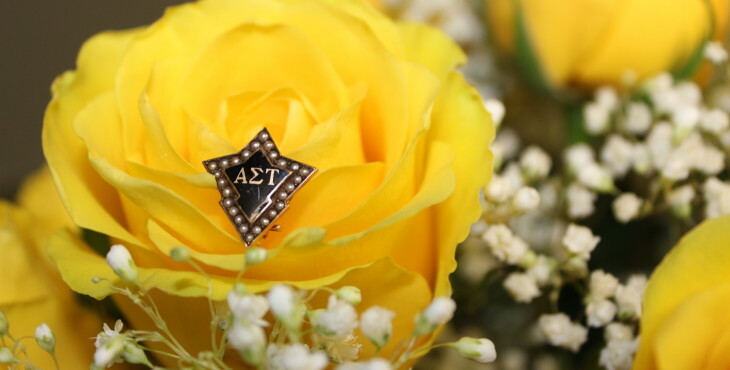 The symbols of Alpha Sigma Tau represent the proud traditions and history of the Sorority, and connect Alpha Sigma Taus around the world with shared meaning. 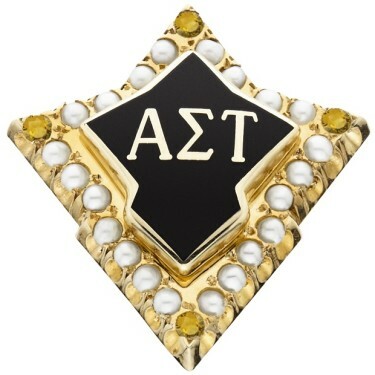 Gold and crown pearl Badges are worn by initiated members of Alpha Sigma Tau. The ruby Badge is worn by Alpha Sigma Tau members who serve as volunteers. The yellow topaz Badge is worn by the National Panhellenic Conference Delegation members. 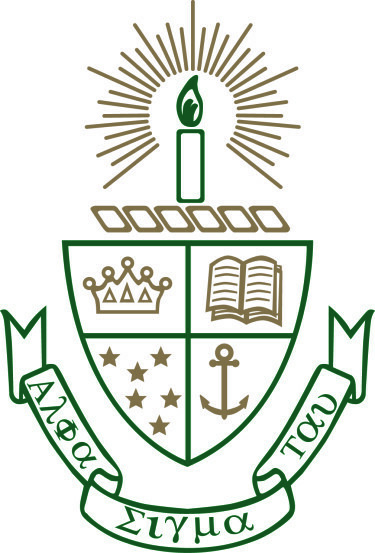 The emerald Badge is worn by Alpha Sigma Tau National Council members and National Officers. The diamond Badge is worn by the Alpha Sigma Tau National President and Past National Presidents. 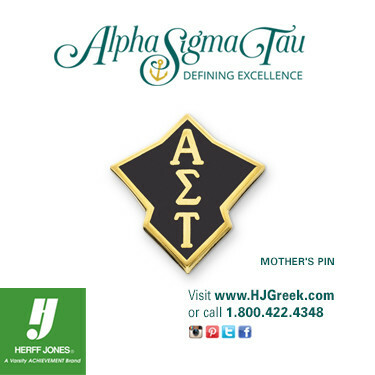 All accessory jewelry such as Alpha Sigma Tau chapter guards, dangles, bracelets, rings, necklaces, earrings, and much more can be ordered from Herff Jones.